Sometimes we feel that we cannot harvest during the fall months. That is not the case. On an article written on Bonnie Plants (Our roots run deep), cabbage is highly recommended for the fall weather. "Cabbage is a cool-season vegetable suited to both spring and fall. It belongs to the cole crop family (Brassica oleracea), which includes broccoli, Brussels sprouts, cauliflower, collards, kale, and kohlrabi. The trick to growing cabbage is steady, uninterrupted growth. That means rich soil, plenty of water, and good fertilization. Plant 2 or 3 varieties with different maturities for a longer harvest. You can also plant through black plastic to help warm the soil in spring. New plants just out of a greenhouse need to be protected from freezing weather. Plant fall cabbage 6 to 8 weeks before the first frost. Growing plants that have been exposed to cool weather become “hardened” and are tolerant of frost. Cabbage that matures in cool weather is deliciously sweet. 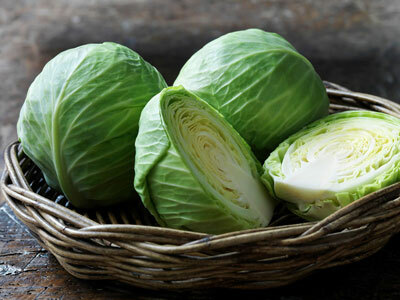 Like most vegetables, cabbage needs at least 6 hours of full sun each day; more is better. It also needs fertile, well-drained, moist soil with plenty of rich organic matter. The soil pH should be between 6.5 and 6.8 for optimum growth and to discourage clubroot disease. Cabbage needs fertile soil and adequate moisture from the time you set out the plants. Stunted plants won’t recover if stressed. To be sure about your soil pH, get the soil tested (Madrid Landscaping can do it for you). Apply fertilizer and lime if needed, using the results of the soil test as a guide. In the absence of a soil test, add nitrogen-rich amendments such as blood meal, cottonseed meal, or composted manure to the soil or work a timed-release vegetable food such as 14-14-14 into the soil before planting. The plants love the liquid feeding."